Selecting the most eligible company to develop software application for your business isn’t an easy task. Usually, most small and large businesses alike search for and elect local companies for the job through the bidding process. 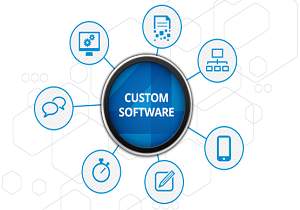 Initially, interested bidders seek to conduct meetings with the client and/or end-user to assess their needs and determine the workload required to create the customized software. Afterwards, a bid is issued identifying the project requirement, technical specification, and the anticipated timeframe. These bids never assign milestones as some projects may require additional time, contributing therefore to additional cost and probably extended budget. Therefore, picking a company should never come down to merely a money issue, but rather a choice of the most qualified, competent, experienced, and flexible company. and substantial improvement in the business cycle.